The crew that was sent to complete the duct work at our home was also diligent in getting the job done…especially Mark! Mark is a man of his word and put his best foot forward to ensure all was completed when he said it would be…a rare find these days. I think Weather Masters needs to train other companies to be as “customer service” friendly as they all are! Our money was well spent! 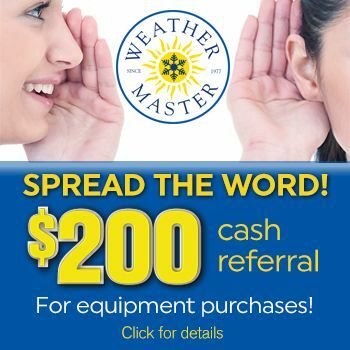 We will continue to use Weather Masters as well as recommend the company to anyone who asks!